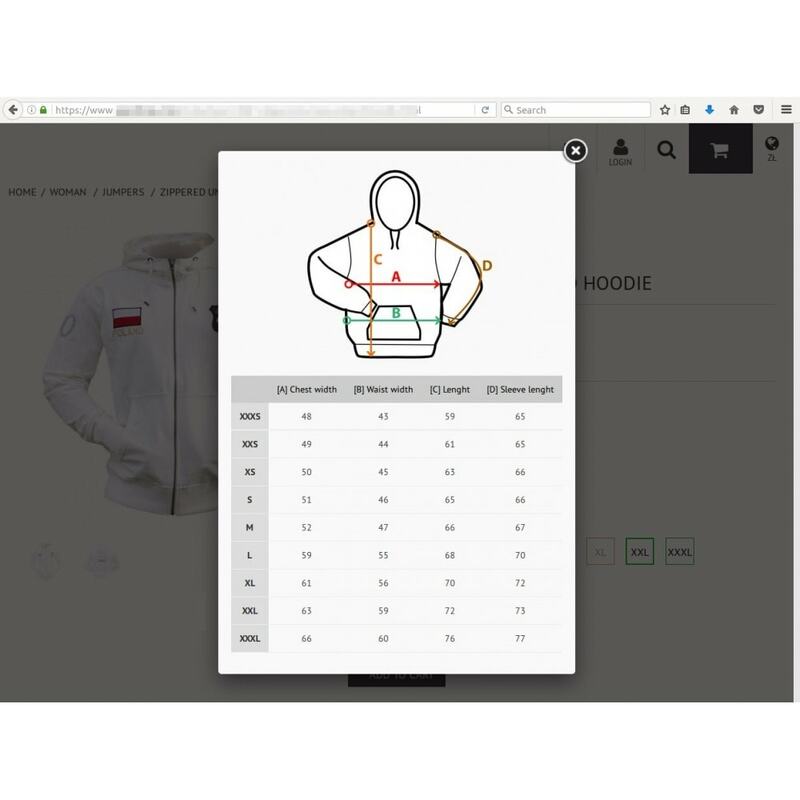 SirSizeCharts module allow you to insert the exact dimensions products in your online store. 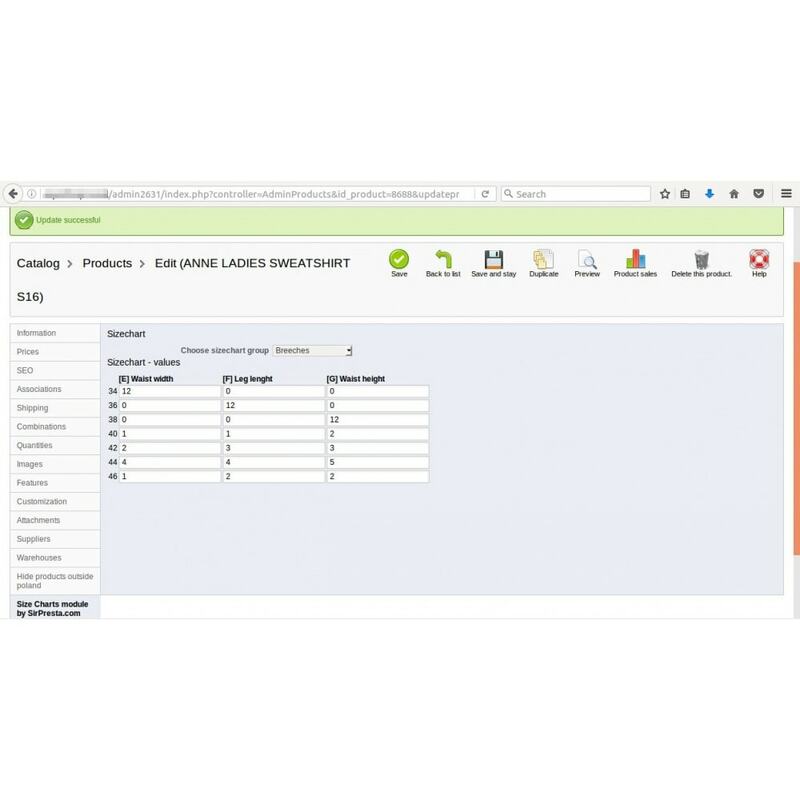 Adding dimensions to product attributes is very simple with Sir SizeCharts tab on product edit page. Less returns and icrease sell. Furthermore - module increase customer satisfaction. 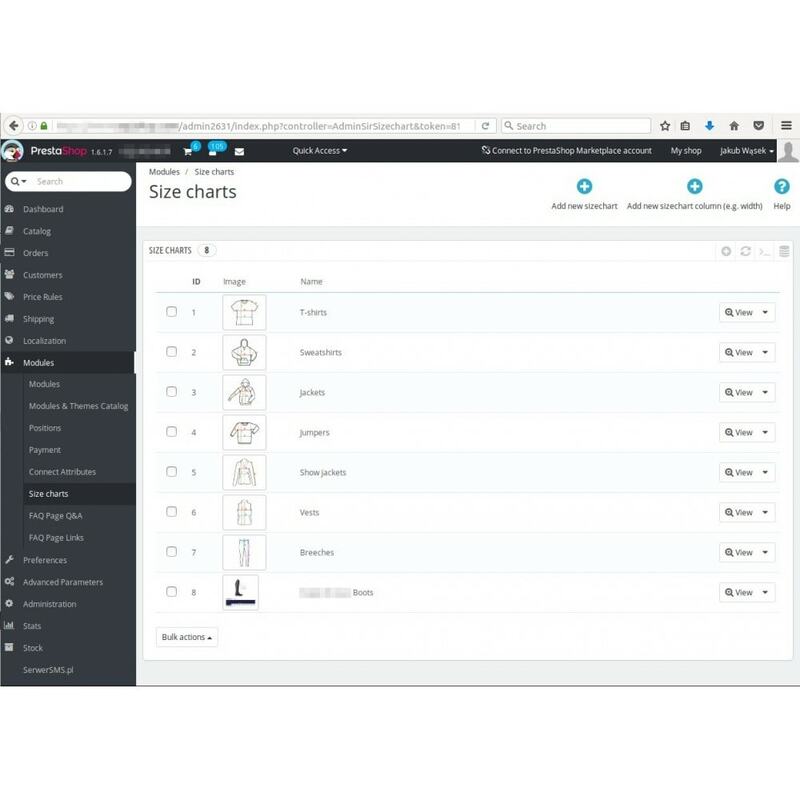 Adding new types of sizecharts(with optional description and photo). Adding columns to the types of size charts. The optimal structure of tables in the database(the database is increased only when the size tables are filled). Intuitive operation and simple introduction to the dimensions of the product edition. Polish and English translations included. Created by experienced developers of Prestashop.